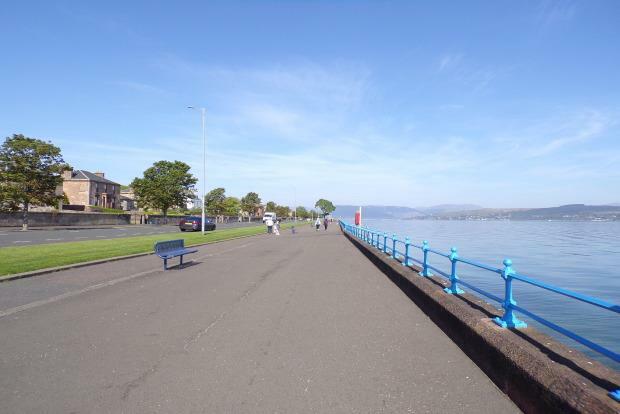 2 Bedroom Flat To Rent in Greenock for £550 per Calendar Month. Two bedroom unfurnished flat situated in the ever popular Esplanade area. This property comprises two double bedrooms with mirrored wardrobes, spacious lounge with sea views, a traditional kitchen complete with white goods & family bathroom with shower . Access to this property can be gained from Eldon Street or the Esplanade. 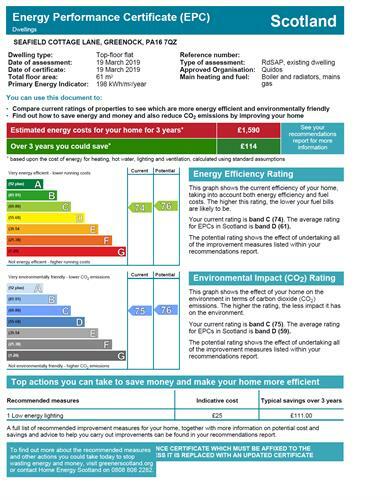 This property also offers gas central heating, double glazing and off street parking space for one car from the Esplanade. The town of Greenock has a wide range of local amenities including high-street shopping and schooling at both primary and secondary levels. There are a range of golf courses within the area. There are railway services to Glasgow Central and the area is well served by local bus routes.